You thought the interview went well, but never heard back. Why? Going through an interview is stressful enough, but it’s waiting for a response afterwards that can really get an applicant’s head spinning. Did they like me? Was I good enough? What could I have done better? To make sure you stay in the loop, ask for a “next steps” timeline during your interview. That way you’ll at least have some idea of when they’re deciding on a candidate. After that, the only option is to send a polite email asking if they’ve made a decision yet. Then you play the waiting game. But waiting can get unbearable. Especially when the company never gets back to you. 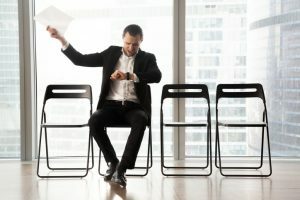 This may not seem like much of an excuse, but many companies, especially smaller companies, simply don’t feel they have the time to let every candidate know why they were rejected. Perhaps they interviewed 100 or so applicants, but only have one person dedicated to Human Resources. That one person has to devote most of their time to the new hire. When they finally do find time, it’s too late to send out rejection emails. Busy companies might also send mass rejection letters via traditional mail. That could mean weeks before you get a response. When companies send out a rejection email, it gives applicants an opportunity to ask why they were rejected. Companies don’t, or rather can’t, answer this question. Any type of rejection could be taken offensively, and offended interviewees might resort to legal action. In some cases, candidates may not take rejection well, and respond by sending angry emails. Many companies just don’t think it’s worth it to respond, given their unique experience with sending out rejection emails in the past. In some cases, companies have one applicant they place above all others. Their first pick. But that first pick doesn’t always go through. Maybe they can’t agree on salaries or vacation time. When something like that happens, the company goes to their backups, their second, or even third choice. So if you don’t get a rejection right away, it might be because the company is holding onto your resume in case their first pick doesn’t work out. It’s even possible that the company doesn’t want to offend you with a rejection because they want to keep you in mind for a future position. 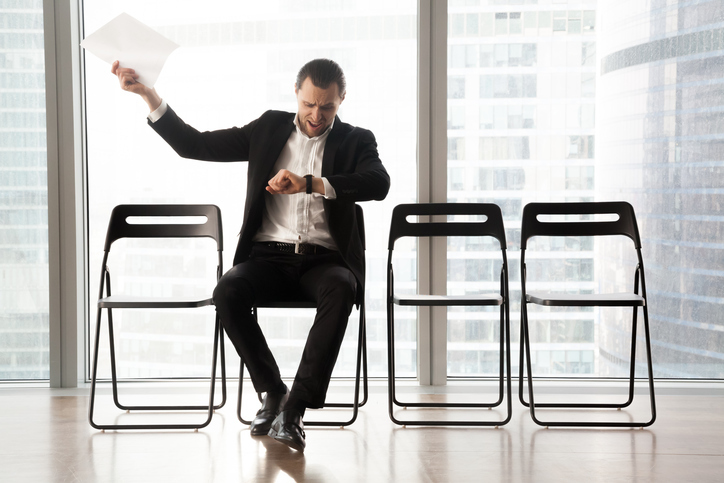 A company’s response time might also vary according to the industry they are in. State and government agencies, for instance, can take up to a year or more to place a position. At the end of the day, you’re never going to know why a company decided not to send you a rejection letter. Maybe it was for a good reason, maybe it wasn’t. So don’t dwell on it. It isn’t easy to let go, but when you do, it will become much easier to move forward. Get started on the next application and start preparing for that next interview. Has a company ever kept you waiting for a response? Let us know about it in the comments below! Next Post Poll Results: Will You Retire? Ultimately, don’t limit yourself to waiting for a response from one employer. Think about what you could improve at the next one and keep looking. Keep scheduling interviews. If the first one doesn’t get back to you before you get another interview, let them go and focus on the next one. If they’re too busy or too inconsiderate to send you a boilerplate rejection, do you really want to work for them? So true! Thanks for the comment Jerry! I have interviewed plenty of applicants that try too hard and seem rather rehearsed with their responses. I often choose the one who is the best fit for the atmosphere over actual experience. I think relaxing and being yourself makes you much more likeable to fit in the workplace than putting too much emphasis on being what you think they expect. Great point. Thanks for the comment Kim! I avoid this by not rehearsing for interviews at all. Of course, I’ve been around a while… I tend to find that my interviewers are more nervous about the process than I am! I agree that most companies don’t send a rejection after the initial receipt of the resume. But its the companies that you go through multiple interviews, have asked for next steps and never hear from them again that I think are the worst. What that tells me, as an applicant, is they don’t treat their own employees well and I will remember that when time comes to maybe hire that company as a vendor. Not sending just a form rejection letter can have more impact than not. A rejection does not define you – who knows why they didn’t choose you, but move on past it and look for a better fit. Great point Katherine. Moving on and finding the best fit is all we can do. Thanks for the comment! I have read many books and have listened to many experts on the interviewing process (what to say and not to say, how to present yourself, etc). . I usually state responses which are succinct, prepared not rehearsed, truthful and in line with the job I am applying for. I do believe these interviewers are too picky and should not place more emphasis on job fit over job qualifications. Applicants are there because they need the work and have researched the company and job fit (responsibilities). When personality and job environment overshadows job qualifications, that is unfair possibly discrimination and shows a lack of diversity. People blend–we are not robots and should not have to be like the rest. We are individuals. Employers who don’t send any notification are the worst. I live in a rural area. I have interviewed with many companies here. I have been given a lot of promises that they ‘will let me know one way or the other but have only received a few rejection notices. Although, I can’t help but think that an email or a letter is like a ‘hit and run’. I am 60 years old, and I can’t help but think that my age has something to do with it. I guess they won’t admit that, or they would be opening the door to a lawsuit due to discrimination.